Margaret Joanne Dillard, 68, of Dayton, passed away on Thursday, August 23, 2018 at her residence. Margaret was a life-long resident of Rhea County and was born in Graysville, Tennessee on May 25, 1950 and had worked for 42 years at Rhea Medical Center in Dayton. Margaret was a loving wife, mother and grandmother and will be missed by all who knew her. 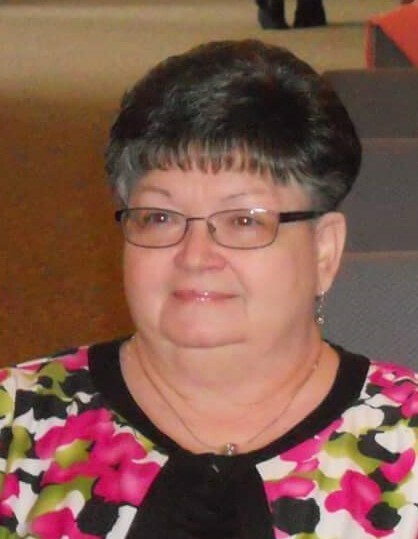 She was a member of Texas Grove Baptist Church in Evensville and deeply loved her church and church family. She is preceded in death by her parents, Leland and Della Wilson and two brothers, Robert & Billy Wilson. Survivors include her husband, Gary Dillard, of Dayton, daughter, Autumn Beaver, of Dayton, half-sister, Tammy Koon, of Dayton, brother, Donald (Linda) Wilson, of Dayton, aunt, Elizabeth Owens, of Dayton, grandson, Raylan Andrew “Little Man” Beaver, several nieces, nephews and cousins. Funeral services will be held at 2:00 PM on Saturday, August 25, 2018 at Texas Grove Baptist Church with Reverend Norman Huskey officiating. Mrs. Dillard will lie in state one hour prior to the service at the church. The family will receive friends on Friday, August 24, 2018 at Coulter-Garrison Funeral Home from 6:00 PM until 9:00 PM. Interment will be at Smith-Wilkey Cemetery.